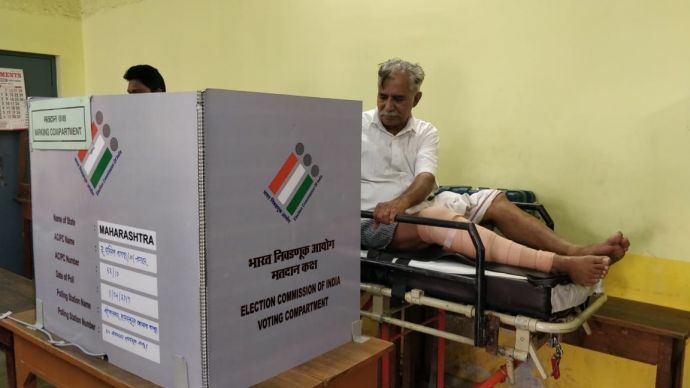 The photo of Vishwas Kulkarni who cast his vote whilst on a stretcher, went viral. The much awaited polling day in Nagpur was conducted with ease. A good voter turnout, peaceful atmosphere, enthusiasm amongst voters – was the sentiment that sums up Nagpur’s poll-day scenario. The city saw many first-time young voters who flaunted their ink mark on social media platforms. But what also did rounds of the social media networking sites were the pictures and stories of city voters who cast their vote against all odds. One such picture that went viral and was shared amongst the many was of Vishwas Kulkarni’s, who is touted to be the newfound poster boy of being an ideal citizen. Kulkarni, a retired personnel, had met with an accident earlier this year. Despite being in a critical condition post a collarbone surgery for several days, he chose to appear at the polling booth on his stretcher. He paid for the ambulance from his own pocket that took him to-and-fro his polling centre. Vishwas Kulkarni casting his vote despite being stretcher-bound. Senior citizens were helped by the police officers stationed at the booths. Physically-challenged persons were seen climbing stairs at booths that did not hoist a ramp. 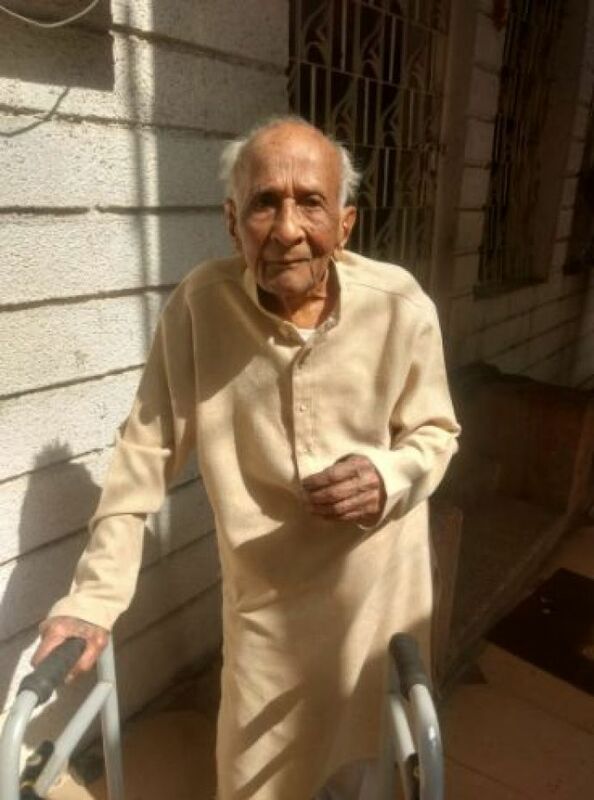 Braving the sun with a smile as he walked towards the polling booth was 100-year-old senior RSS worker, Nathmama Kale. Kale’s granddaughter, Aparna tweeted his photo at the polling booth which earned applause many. 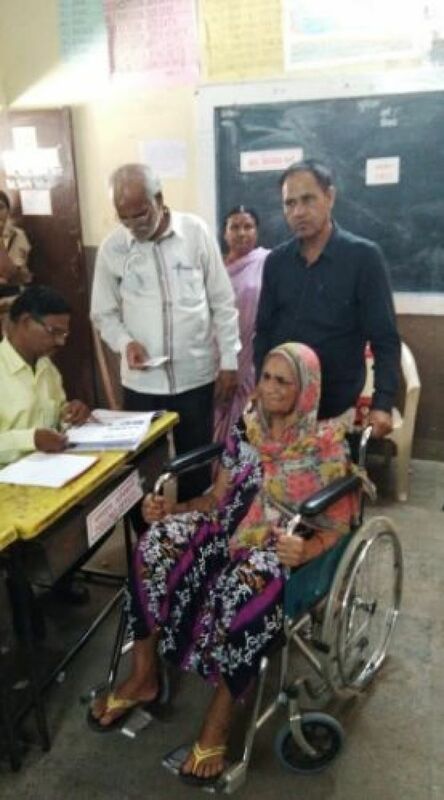 100-year-old Nathmama Kale is probably the oldest voter from Nagpur. While for older adults like Kale, the walk to booth might be a feat, but for some like Ashish Sharma, flying across the globe just to cast his vote was nothing less than an achievement in itself. 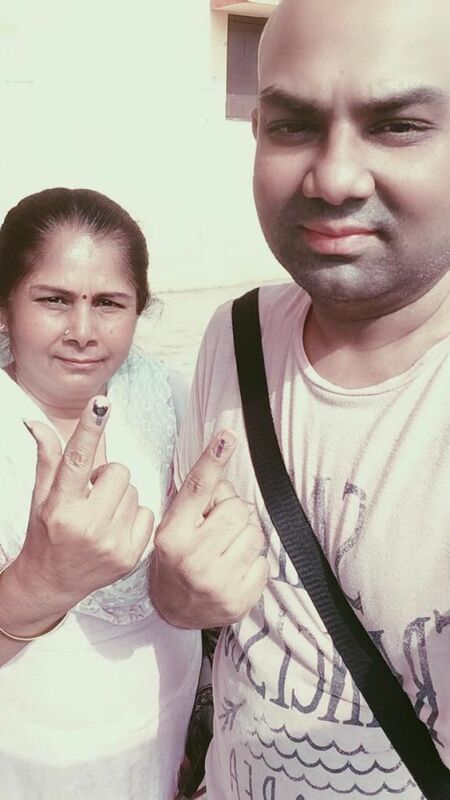 The 32-year-old sales professional who works in New York flew to Nagpur just to vote for world’s largest democracy. World's shortest person, Jyoti Amge at the polling booth. Physically-challenged lady being escorted by a civilian. Nikunj Joshi, CEO of Sarathi Trust, flaunting his voting ink. Following Anand’s appeal, the turnout of the voters from the community was higher than the last time. However, he himself could not cast his vote as his name was missing from the list. While speaking to TOI, he said, “My mother’s name was there but mine was missing. I tried to argue but booth officers said many names were missing and they could do nothing about it.” Not just Chandrani, but many others too faced the same kind of woe. Regardless of many challenges faced, the turnout of voters from Nagpur stood around 58%. The percentage is nearly the same as that of 2014 parliamentary elections.